Digium recently introduced two additional gateways to its popular line of VoIP gateways – the G400 (Four T1 ports) & the G800 (Eight T1 ports). 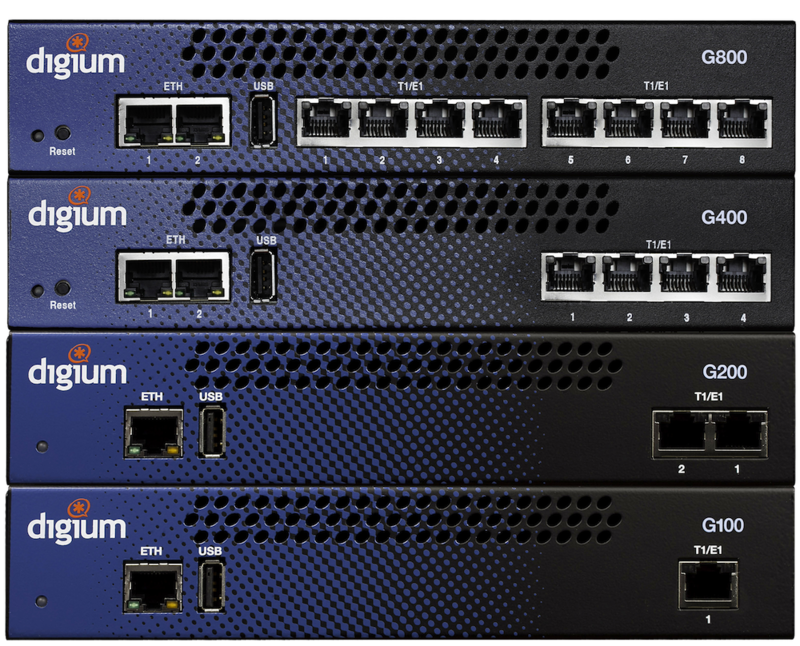 Engineered for easy configuration and reliable operation, the gateways draw on Digium’s wealth of experience building interconnect hardware. With Asterisk under the hood and a simple, intuitive web interface for setup, the gateways set a new standard for PSTN integration. The new lineup expands on the already popular G100 (One T1 port) & the G200 (Two T1 ports) gateways which allow you to convert between a legacy telephony connection, such as E1/T1/PRI and a modern VoIP connection using SIP. This is known as “digital gateway” because the voice media is converted between a digital TDM connection and a VoIP connection. The conversion can go from SIP to TDM, TDM to SIP or even SIP to SIP for the purposes of failover or transcoding. An IP Media Gateway can be used to upgrade a legacy business phone system allowing it to use a SIP trunk out to an ITSP. The VoIP gateway acts as a bridge connecting to the legacy system via a PRI interface and connecting to the SIP provider via a network interface. Likewise the VoIP gateway can connect a modern VoIP-only system, for example a virtualized IP PBX, to a PSTN PRI trunk. There are many applications for VoIP media gateways. For a personalized Digium Gateway quote or to ask us a question, please contact us or call us at 602.357.8070.